Citrix offers integrated technology services that make the world’s apps and data secure and easy to access. 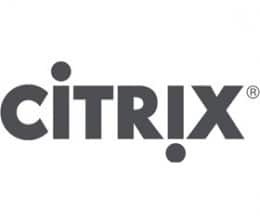 Citrix is the only vendor that offers a complete portfolio of market-leading solutions across application delivery, mobility, file sharing and networking for secure delivery of all apps and data. Unify all the necessary components for a secure digital workspace, Citrix can be delivered on-premises or in any public, private, or hybrid cloud. Citrix powers more than 100 million users and 400,000 organisations across every industry and corner of the world. · Citrix delivers an unparalleled experience over any network, on any device—an experience that’s intuitive and “just works” so the focus remains on work, not technology. · Customers across every industry trust Citrix —including the most highly regulated—to protect data and stay ahead of compliance and privacy requirements. · Cixtrix maximise existing infrastructure investments by seamlessly integrating new innovations into your environment, giving you the choice of any application, server, network, and cloud. Yes you can access a great amount of content from our Partner Central and Sales IQ websites. Call 1300 IT ASSIST (1300 482 774) today if you would like to discuss how your organisation can benefit from Citrix technology. Alternatively, email ITASSIST@moncrieff.com.au.